Golf is certainly addictive to a small part of the population, but I don’t think it has ruined many lives when compared to other addictions, unless one becomes obsessed with achieving perfection, a doubly certain impossibility when it comes to golf. I’m writing about golf today as a Neo-Renaissance (NR) activity because the game/sport/hobby/leisure activity is uniquely qualified to service all four cornerstones of a NR life: Physical, Intellectual, Emotional, and Spiritual fulfillment. That’s one of the great things about golf: it addresses all four needs of the NR practitioner. You get a great bang for your buck. To keep this post manageable, I’ll highlight the main reasons each cornerstone is satisfied by golf. I’ll go into more detail on golf and each cornerstone in future posts. Obviously, golf is a game that requires one’s body to move. On the surface, a person swinging at a golf ball doesn’t look like he’s doing much work when compared with runners, football players, tennis players, swimmers, etc. But a golf swing is an amazingly complex exercise in full-body mechanics. All major muscle groups are used, arms being the most obvious, but the legs play a huge part in a proper swing, especially the hips. A strong set of core muscles (abdominals, back, adductors and abductors) are essential to maintain balance, which is crucial to hitting the ball solidly. Finally, having maximum flexibility in all those muscles, especially those that rotate the torso in both directions, is the key to hitting the ball as far as the pros hit it. Two intellectual disciplines come into play with the golf swing: physics and geometry. Regarding Physics, Newton’s Second Law of Motion states that Force = Mass x Acceleration. The Force applied by a golf club to a golf ball to propel it forward increases as either the Mass of the club increases or the Acceleration of the club increases. Since golf clubs have limits on size, weight, and length, the only variable becomes Acceleration–the speed at which the clubface is moving when it impacts the golf ball. Geometry applied to golf is all about angles. Launch angles, club face angles, loft and lie angles, angles of impact right and left, up and down, the steepness of a putting green. Since gravity is always in play, arcs, parabolas, and other curved lines or trajectories also factor into the equation. 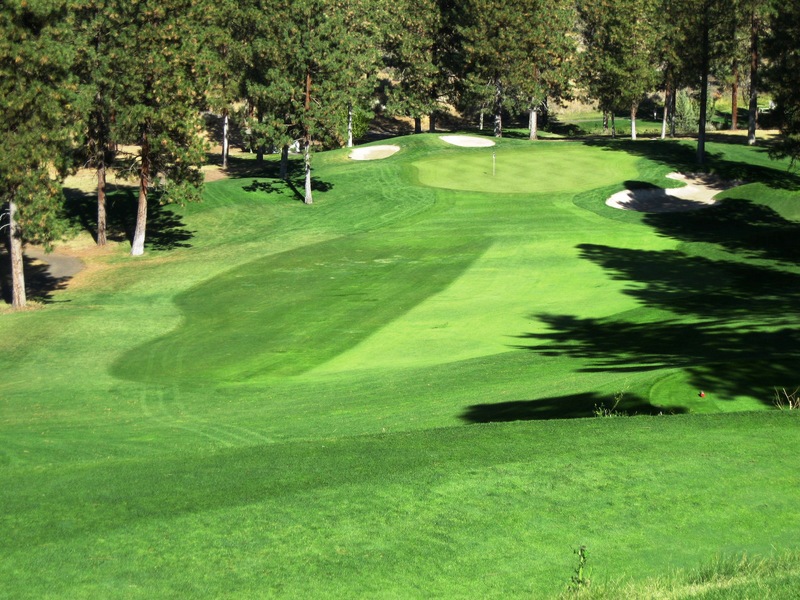 A golfer must compute whether or not the club he has selected, whose face is let’s say ten degrees less than perpendicular to the ground (angling upward), will successfully launch the ball high enough and far enough to carry over a pond whose far shore is 200 yards away. 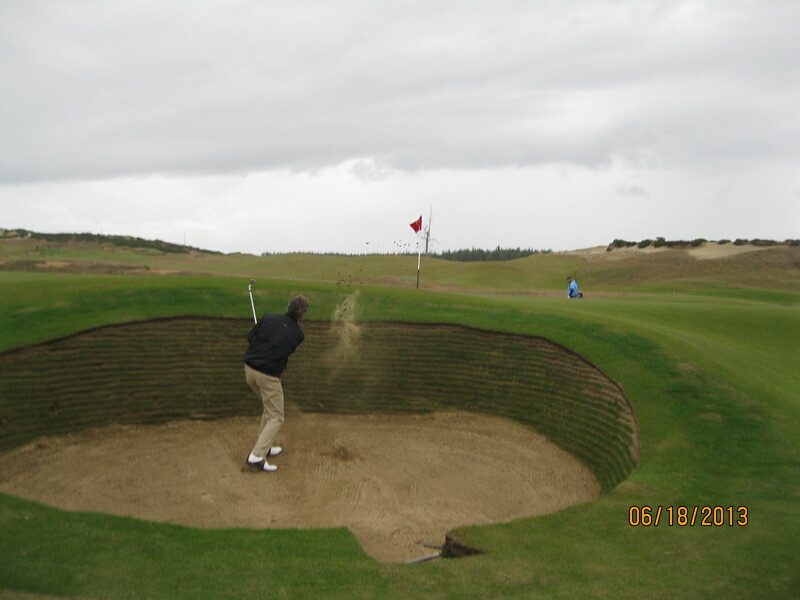 So theoretically, a golfer taking his stance over the ball, preparing to hit it toward the hole, is a human computer of angles, force, trajectory, weather factors, all while firing up his body to execute, in approximately one second, a complex physical activity relying on all major muscle groups and performed with the precision of a brain surgeon (best case scenario). Easy, huh? A round of golf is a microcosm of life. You experience good and bad days, play well, play poorly, feel great or lousy, hit a perfect shot or the worst shot of your life, get bad breaks and good breaks, have to deal with your friends, acquaintances, sometimes strangers, sometimes people from different cultures (Playing a round of golf with a wealthy Japanese couple can be sublime or ridiculously frustrating). Success in life as well on the golf course depends on how we react to the ups and downs of life as it pertains to this stupid little game which involves hitting a small ball into a small hole from long distances away. The range of emotions experienced and dealt with on the golf course mirrors those we deal with in the rest of our lives. It can be safely said that golfers as a group are not particularly religious, since so many of us regularly play golf on Saturday and or Sunday mornings, the days set aside for most worship services. That doesn’t mean we aren’t spiritual, though. Ask any serious golfer to describe the “Golf Gods” and you might get a long-winded explanation of the mystical power that make it easier to explain the unexpected in the game. We have no idea why we can shoot a career best round one day, then shoot a career worst round the next day, on the same course in the same weather conditions, with no change in any other variables other than it’s a new day. Finally, the spiritual bonding between golfers can be special since we’ve all suffered the same successes and failures at some point in our golf careers. A spiritual kinship forms out of having survived the same trials and tribulations and come away stronger for the experience. If you golf a lot, you’re probably my friend, even though we’ve never met. But we’re spiritual brothers and sisters bound together by the greatest individual sport in the world. Here’s a handy link for those interested in learning the basics of golf. Comments? Questions? Do you/have you golfed? Are you addicted? Did I peak your curiosity enough for you to try the game? This entry was posted in Emotional, Golf, Intellectual, Physical, Spiritual and tagged acceleration, angles, Bandon Dunes Golf Resort, emotional, force, geometry, golf gods, intellectual, isaac newton, mass, Neo-Renaissance, Newton's law of gravity, Newton's second law of motion, Oregon, physical, physics, religion, Running Y Ranch, spiritual by CNWriter. Bookmark the permalink. ← Previous Previous post: Rest in Peace, Elmore Leonard. And Thanks.